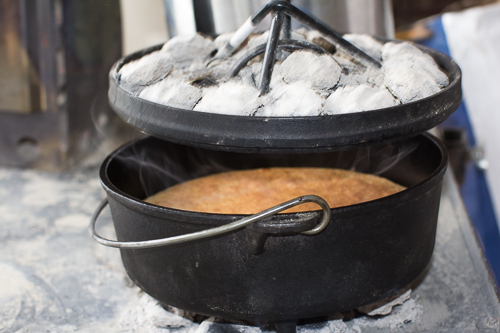 Prepare a 10-inch camp Dutch oven by cutting out a round of parchment paper to fit the bottom of the pot and then spray with Pam. Fire up a chimney of charcoal (about 21-22 charcoals). 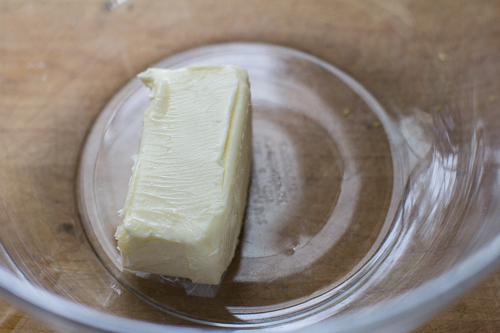 Place the very soft butter into a large mixing bowl and beat with a wire whisk until it is smooth. 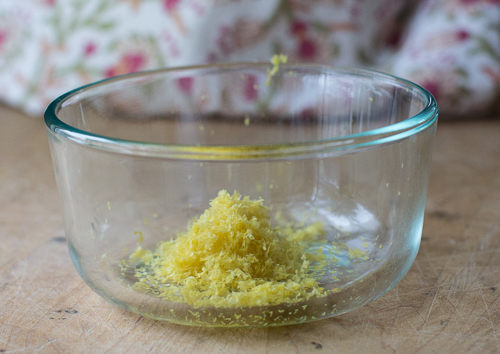 Add sugar and mix vigoursly until sugar and butter are light and creamy. 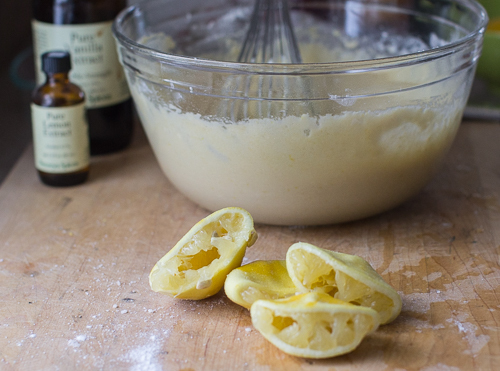 Add vanilla, eggs, and lemon zest, lemon juice, and buttermilk and beat until the batter is smooth. 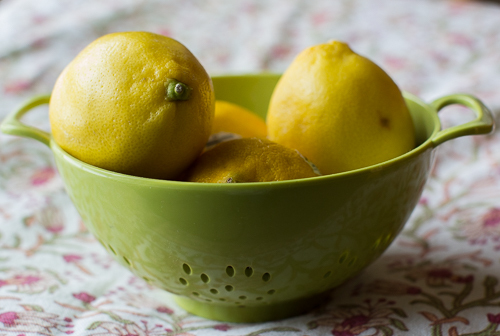 Pull out a new bowl and place a sifter in it. 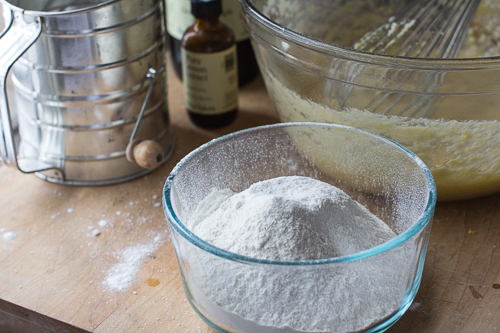 Add flour, baking soda, baking powder, and salt and sift them together. Pour flour mixture into the creamed sugar and butter and fold them together gently until all ingredients are incorporated. 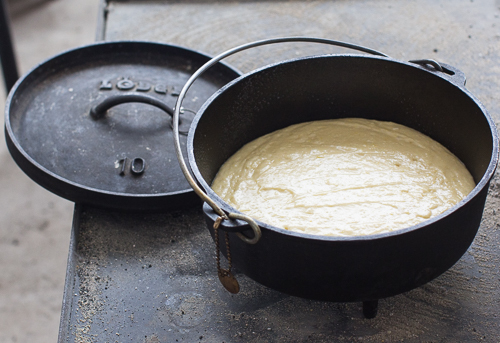 Pour batter into prepared 10-inch camp Dutch oven. 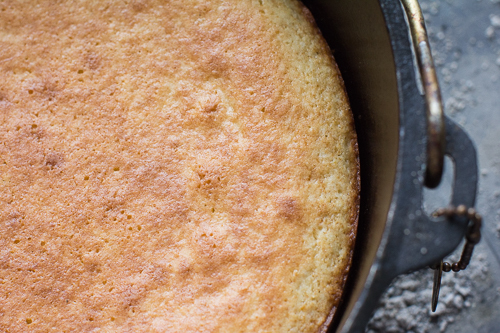 Spread the top of batter with a spatula to evenly distribute the batter around the oven and to smooth the top out. 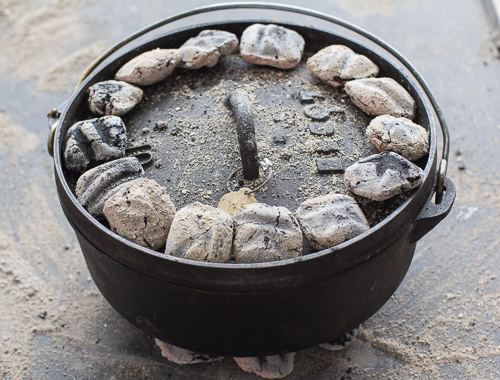 Make a circle of 7 hot charcoals the diameter of the bottom of the oven. Place the oven over the charcoal, add the oven’s lid, and arrange 14 hot charcoals around the outside of the lid. Bake at 350 degrees Fahrenheit for 10 minutes. Turn lid clockwise and bottom of oven counterclockwise to avoid a hot spot. Wrap with a windscreen if needed. Bake for another 10 minutes and check to see if the cake is done by inserting a toothpick. If it comes out clean, the cake is done. If not, put the oven back on the heat and monitor closely. You should smell the lovely lemony aroma when the cake is almost done. The edge of the cake should pull away from the wall of the oven. I baked this cake for a total of 20 minutes. Let the oven cool until you can touch it without burning your hand. Gently run a table knife or metal spatula gently around the edge of the cake taking care not to chip the seasoning of the oven. Tip the cake out on a cooling rack. 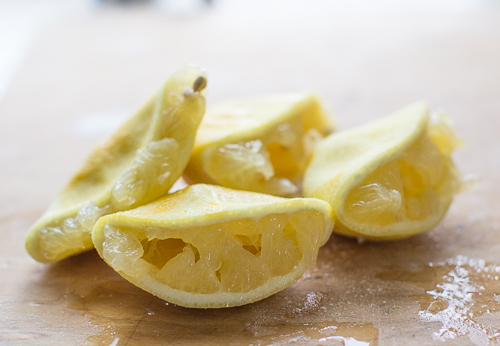 Make the first glaze by mixing together the superfine sugar and lemon juice. 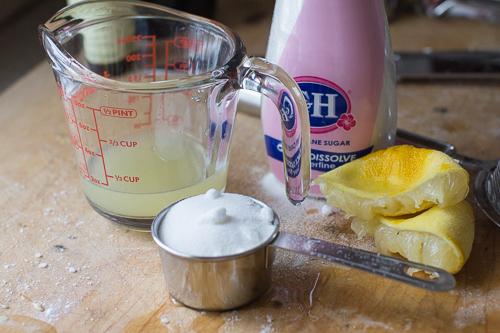 Let the glaze sit until the sugar has dissolved completely. 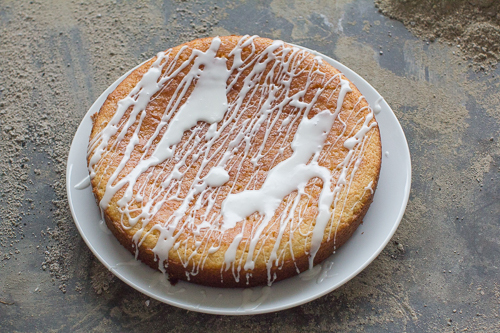 Poke holes across the top of the cake with a fork and drizzle the first glaze evenly across the top. 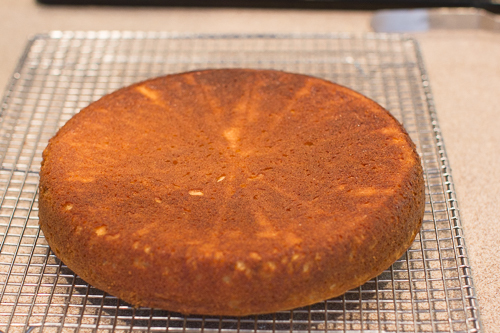 Let the cake sit for five minutes to allow the first glaze to soak into the cake. 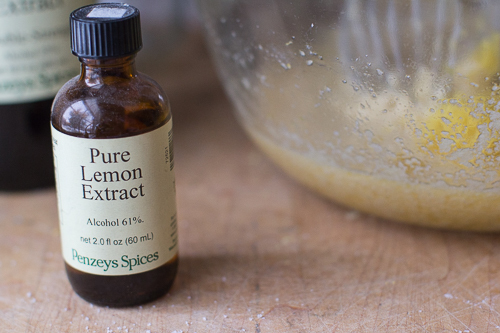 Make the second glaze by mixing together the powdered sugar, lemon juice, and lemon extra. Drizzle the second glaze across the cake. You can do a better job than I did by using a spoon, not a whisk like I did. I agree with the boy scouts! 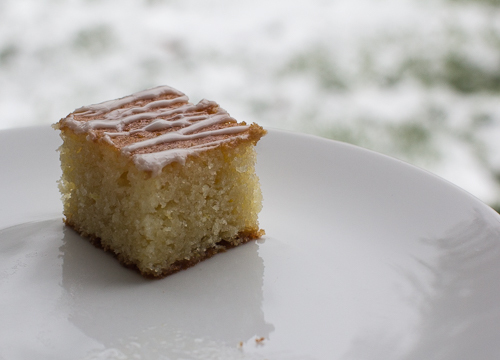 This is a lovely, dense cake that is not too sweet, with lemon as the hero of the show. I cut the cake into about 20 2-inch square servings. P.S. Quick update on plans to move to .com and upgrade this blog. I have a partner, Bruce, who is an IT guy and is the Dutch Oven Doctor. This is huge for me since I just barely understand what it takes to keep the back side of a blog going. 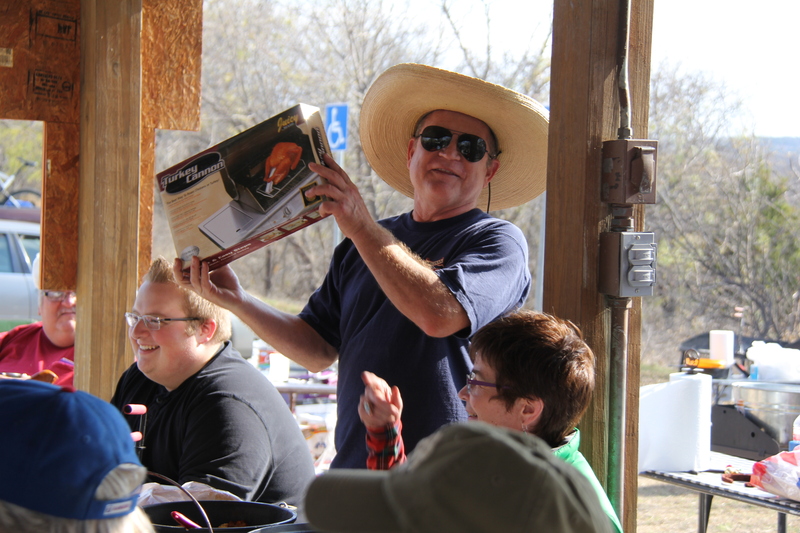 Bruce and his better-half Kathy are fabulous Dutch oven cooks and I am thrilled to be working with him on Texas Iron Chef! 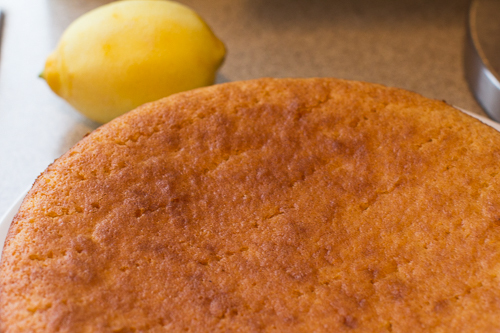 This entry was posted in Recipes and tagged 10-inch Dutch oven, baking, cake, dessert, easy, lemon, recipe. Bookmark the permalink. I made this at our last campout, replaced the fine sugar with powdered sugar. other than that it was the best lemon cake anyone had ever eaten.